Kids? BJJ? You better believe it! Brazilian Jiu Jitsu is a popular martial art that blends science, philosophy and physical application toward self defense. Kids learn motor and reactive skills at an early age under quality BJJ instruction. Many times in our society, martial arts are misperceived as simply a ritual of greetings – bowing to attribute respect and attending class as a means towards rank; but this is simply not so at our Brazilian Jiu Jitsu school. At the Vandry BJJ Academy in Austin, there are Brazilian Jiu Jitsu children’s classes for the ages of 7-15. 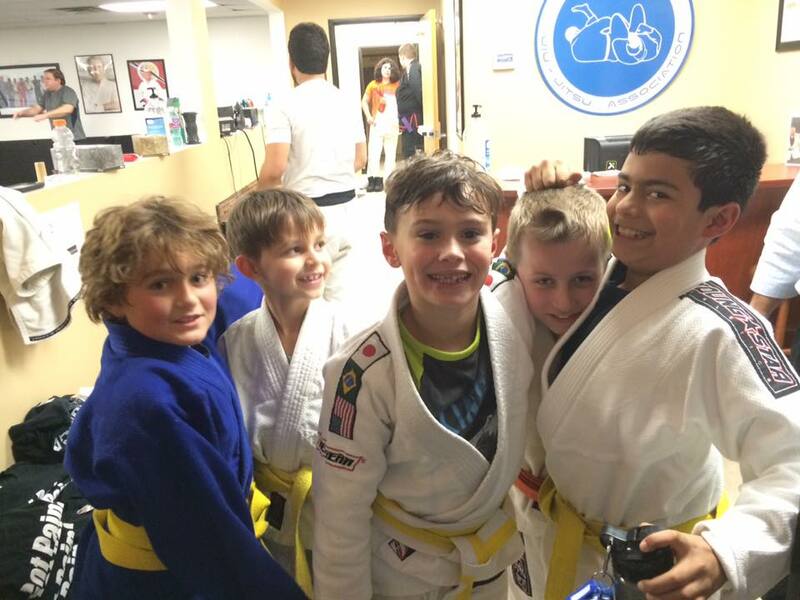 The kids BJJ class initiates learning physical training to develop a child’s stamina and strength. The children learn techniques of BJJ for the purposes of self-defense, future sport competition; and to develop motor skills via more hands on athletic training through monitored Brazilian Jiu Jitsu sparring. Head Instructor William Vandry, Coach Dr. Jeff Snow, Coach Myron Dixon and Coach John Hancock teach the kid’s class. BJJ has no room for egos, the style eliminates ego very quickly. Our academy nurtures and establishes bonds of communication along with the athletic “team” approach for children. Martial arts has used the pitch of the “bully” sale for decades; in which guaranteeing children’s ability to overcome a bully is sold as long as the parent’s pay dues. At Vandry BJJ, there is more to our approach, corrections, new techniques, constant mat time, sparring with different bodies and speeds that make a difference in children. This enables your child to face approaches of a confrontational situation in life. Team Vandry has numerous children successful in BJJ tournaments, whom demonstrate their skills learned at the Austin academy. Whether your child competes or not, Brazilian Jiu Jitsu helps solve some important learning lessons for children. For more information, please call the academy at 512-585-1289.